Luxury Condo, Townhome or Estate? What’s Right For Your Lifestyle? In buying your new home, what you buy is as important as where you buy. Whether you are looking for a modern and spacious condo, a well-designed townhome or a more-expansive single family home, your lifestyle is one of the most relevant factors to consider.. 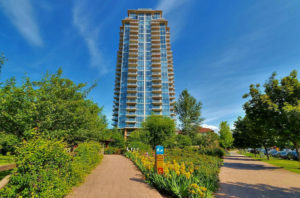 The Kelowna luxury real estate market has a variety of upscale lakeview and lakefront condos, townhomes and estates available. Choosing the right home type for how you want to live, comes down to your lifestyle wish list. Condo living provides you with an easy-to-maintain property while also keeping you close to local amenities. While designed to maximize space and functionality, condos can hold their own when it comes to architectural elements and luxury features. Perfectly suited for year-round or seasonal living, the low-maintenance requirement of a condo grants you more time to live, play and enjoy the Okanagan. 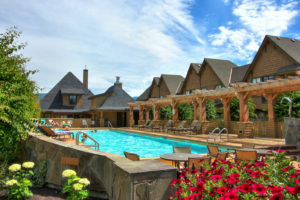 Additional amenities often including pool/hot tub, gym, guest suites, outdoor terraces etc. While providing you with outdoor space to call your own, townhome living provides many of the same benefits of both condos and single-family homes. The friendly community-lifestyle often includes onsite amenities, such a pool or fitness room. Mindful of space, function and design, townhomes promote a perfect balance of privacy and neighbourhood. Privacy is a notable element of single-family home living, as is space and the flexibility to do what you please. With room to expand your interior living quarters into the outdoors with the addition of a pool or an outdoor kitchen, single-family home ownership allows you the opportunity to be creative in the utilization of your property. Within the Kelowna luxury real estate market, there are ample choices available. Whether you wish to have a waterfront or lakeview estate, or have your home set within a desirable neighbourhood, single family home ownership truly provides you the freedom of choice and the opportunity to customize for your lifestyle and dreams. If you are looking for a new Kelowna home, contact Jane Hoffman Group and we will help you find the perfect home to best suit your lifestyle. The following are 3 Current Kelowna Real Estate Listings perfect for the Okanagan lifestyle. Take full advantage of the waterfront parks and amenities that are right at your door-step! A special unit that should not be overlooked – this is truly one of the most unique locations in the building for view, privacy and enjoying nature. 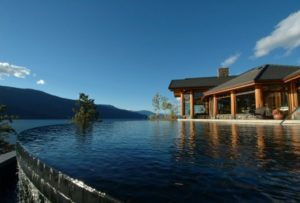 Gold medal Tommie Award winning post and beam dream home set on 2.84 acres with spectacular views of Okanagan Lake! Approx 300 ft lake frontage, dock, the award winning negative edge salt water pool is beyond compare. Over 4300 sq. ft. of open living space, triple car garage with lots of parking for your toys. New tram to lakeside.